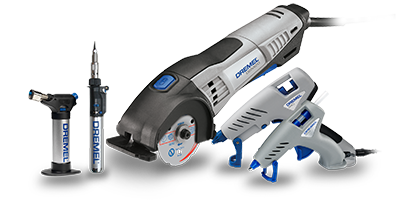 Our guarantee in accordance with the following provisions (numbers 2 - 7) provides for the correction of deficiencies to the tool, at no charge, if it can be verified to the satisfaction of the Dremel service centre that the deficiencies were caused by a material or manufacturing fault within the guarantee period. The guarantee period is 24 months or, in the case of commercial or professional use, 12 months. The guarantee period begins from the time the tool is purchased from new. The starting date is the date on the original sales receipt. Defects recognised by us as being covered by the guarantee shall be corrected either by means of repair of the faulty tool free of charge or by replacement with a tool in perfect working order (this may possibly be a later model). Retained tools for which a replacement has been provided shall become our property. The guarantee claim must be lodged within the guarantee period. 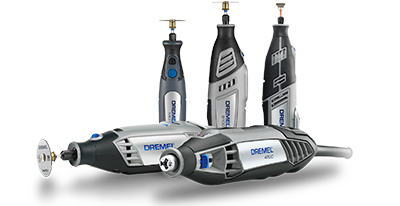 This requires the submission or sending of the complete tool in question with the original sales receipt, which must indicate the purchase date and the product designation, to the retailer or to one of the Customer Service Centres stated on www.dremeleurope.com . Partially or completely disassembled tools cannot be submitted or forwarded in the case of a guarantee claim. If you elect to send the tool to a retailer or to a Customer Service Centre, you shall bear the costs of transport and shall carry the transport risk. Claims other than the right to correction of faults in the tool named in these guarantee conditions are not covered by our guarantee. Services provided under guarantee do not lengthen or renew the guarantee period for the tool.